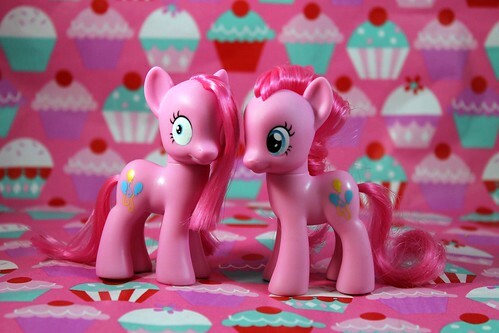 Dolly Market Forum - My Little Ponies..
Dolly Market Forum > Doll and Art Galleries > Pony Photos! 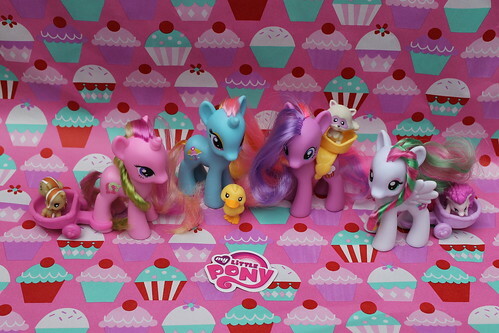 > My Little Ponies..
Full Version: My Little Ponies.. 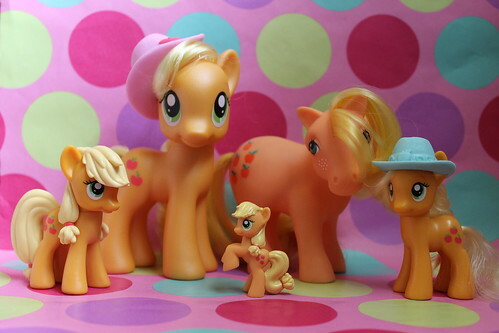 I loved MLP when I was a kid, they were probably my favorite toy. I had well over 300 at one point but they all got boxed up and put in the attic somewhere. 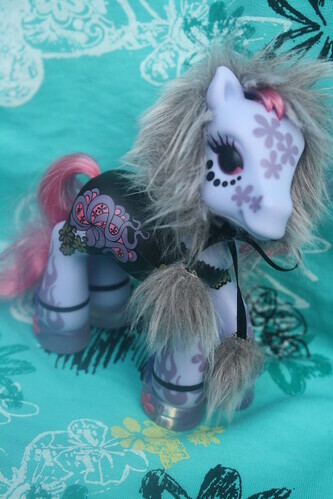 Once they got boxed up, I kind of forgot about them until I chanced on the Junko Mizuno Designer Pony a few years ago. Then earlier this year somehow the new show spread through this house like a virus, my toddler (codename: zilla) started watching it, then my husband and before long I started watching it too. 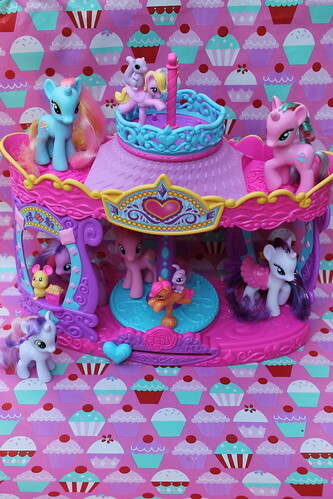 The zilla and I started collecting the toys soon after, while her ponies are more than likely future restoration ponies in the making ( ) my ponies have somehow managed to take over an entire shelving system in the doll room. 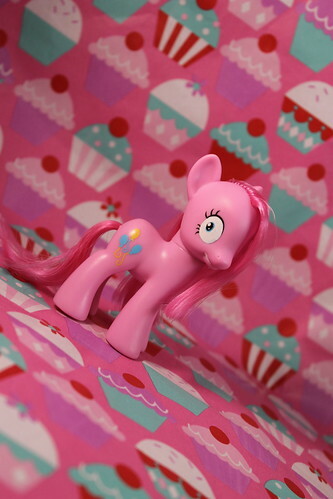 and my one and only custom MLP Pinkamena that my friend Requiemart made for me as I loved the idea of a psychotic Pinkie Pie. You & zilla have an awesome collection I'm really liking the look of the G4's, but I just can't let myself get into them, as I have a rather large G1 collection already, as well as my Pullips & MH dolls, lol. 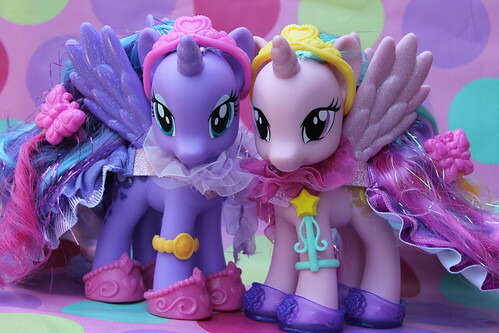 But they are so very cute <3 I love the black & white covering you have on your shelving btw, it really brings the ponies out. I love your pics! 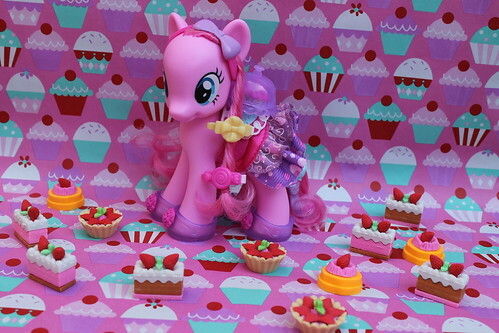 Great to know you're a pony addict, too! 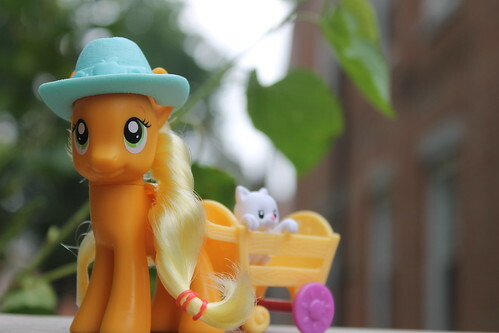 Do you still have all your old ponies? (10-27-2011, 07:42 PM)Lilcurly Wrote: [ -> ] You & zilla have an awesome collection I'm really liking the look of the G4's, but I just can't let myself get into them, as I have a rather large G1 collection already, as well as my Pullips & MH dolls, lol. But they are so very cute <3 I love the black & white covering you have on your shelving btw, it really brings the ponies out. 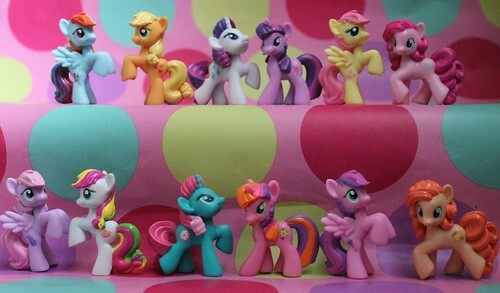 I really love the stylized look of the G4s, I'm trying to stay focused on just collecting them as otherwise I fear the ponies could overrun the already crowded doll room Thanks, the shelf actually came with the design already it makes it a little more interesting than just another book shelf. 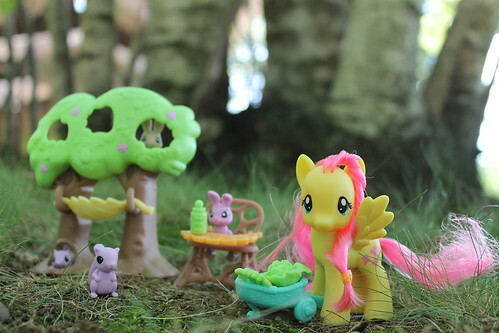 @Little_Spark Thanks so much <3 It's amazing how hobbies can intersect sometimes. 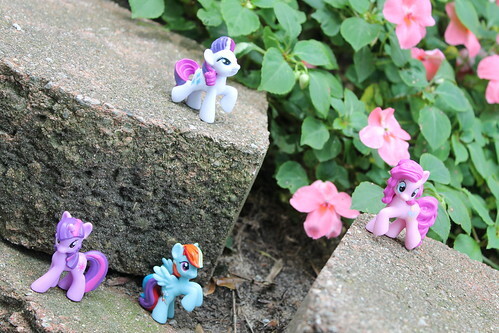 I'm fairly certain I have all my old ponies, it's just an issue of finding them. I did find a box of them over the summer but I don't really have all that much room to display them and they are definite need of restoration (the box I found was of my favorites and they were very well-loved). I'm really trying to stay focused on G4 as I don't have a whole lot of room for displaying them.